The Buzzing Like Neon cocktail features Hendricks Orbium, yuzu sake, Chareau Aloe Liqueur, 18.21 Rosemary Sage syrup, grapefruit, and lime. 18.21 Bitters founders Missy and Kristin Koefod have spent a lot of time traveling in Europe, and they wanted to bring a little piece of that part of the world to Atlanta. Their newest venture, the James Room, is the result of that vision. Located in the new SPX Alley on the Atlanta BeltLine, not far from Nina & Rafi, the James Room is part-cafe, part-lounge, and part-cocktail bar. It’s now open and serving nearly 50 varietals of cocktails, in addition to coffee, food, and wine. The cocktail menu is divided into five sections: mules around the world, twists on classics, originals, aperitivos, and low or no ABV. A brunch cocktail list will come later. 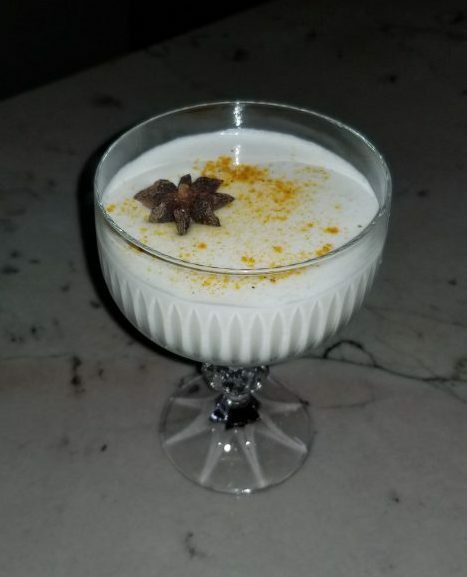 The Golden Milk cocktail is comprised of St. George Botanivore gin, 18.21 Spiced Honey Syrup, banal, cream, turmeric, star anise, and orange blossom water. 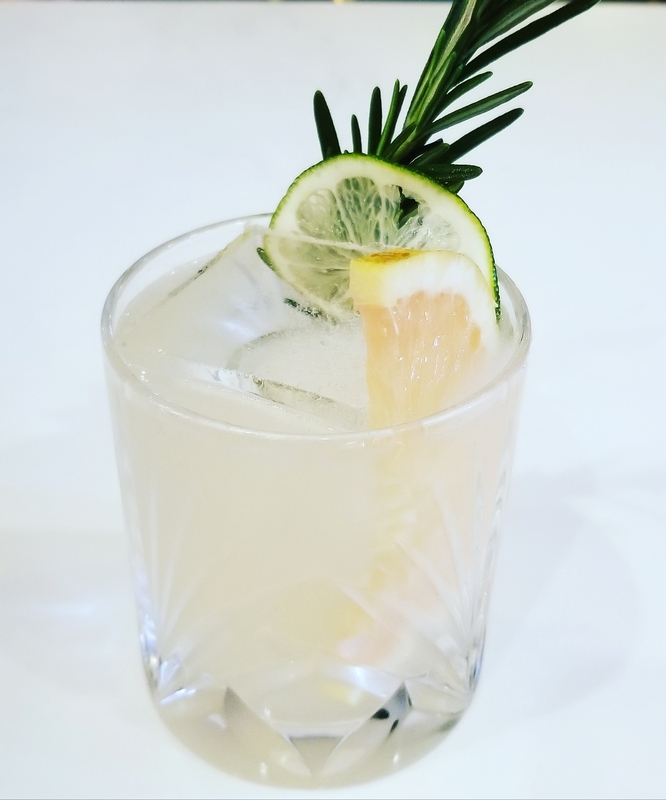 Thus far, crowd favorites include Buzzing Like Neon, a combination of Hendrick’s Orbium, yuzu sake, aloe, grapefruit, rosemary; and Ms. Money Penny, scotch and mezcal mixed with rosemary and pear. The “mules around the world” menu features 10-12 different variations on the ginger beer-based cocktail. There’s the Partly Cloudy (a riff on a Dark ‘n’ Stormy) which has a cotton candy garnish, an Irish mule with a four-leaf clover garnish, and a Scottish mule made with scotch. 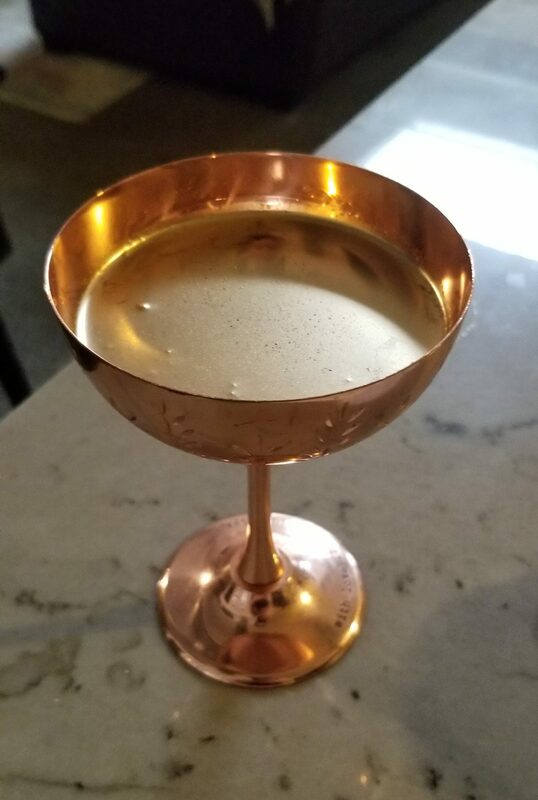 The Countess cocktail is made with Absolut Elyx vodka, Lillet Blanc, St. Germain, 18.21 White Jasmine and Grapefruit Shrub, 18.21 Chamomile Bitters, and edible gold dust. The James Room space is divided into two distinct sections. The front houses a light, bright cafe where breakfast, lunch (Italian sandwiches and salads), coffee, and pastries are served. Koefod describes the back as “dark and lounge-y,” with a bar and a separate menu of charcuterie, cheese boards, and cicchetti (Venetian street food). The areas are united by the “James” theme. Expect photos and paintings of Etta James, James Bond, and James Dean, even in the bathroom. And the house rules, such as “Thou shalt not be an a**hole” are displayed on menu clipboards.